My client is currently looking for a passionate Senior Java Engineer who is committed to producing quality software. The successful candidate must have at least 5+ years of development experience. For all software delivered implement unit and integration tests. For more information, please send your CV to jade.manickum(a)solasit.ie or call +353 01 244 9518. 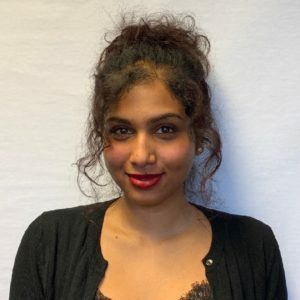 Jade Manickum joined the Solas team in August of 2018. She has a BA Honours in Psychology. She is a peoples person who enjoys building relationships between clients and candidates. She takes great joy in placing candidates with jobs that fit their knowledge and experience. In her free time she loves to paint and keep fit.